A Search Engine Land survey shows that 72% of consumers trust online reviews as much as personal recommendations. Positive customer reviews may be some of the most effective marketing you can do for your business. 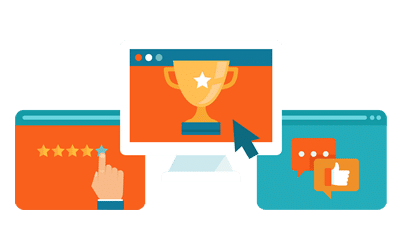 DoubleDome Review Management helps you tactfully ask customers for reviews on Google, Facebook, and the industry-specific review sites that matter. Our service also protects your reputation by proactively catching negative customer reviews so you can take action. Acquire Authentic Customer Reviews & Monitor Your Online Reputation.